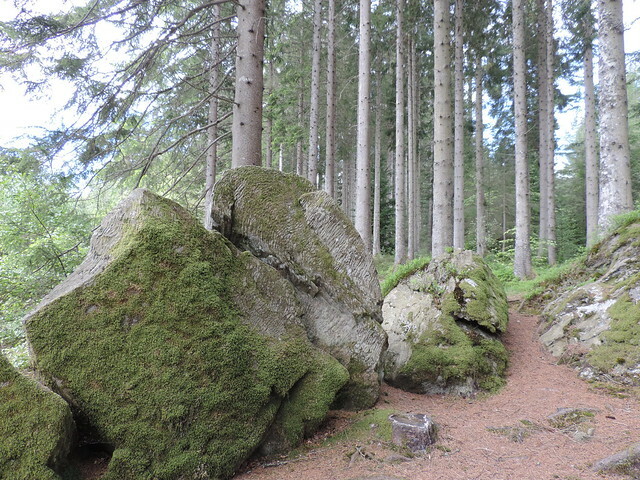 These rocks in the forest bring up two thoughts for me. One is just how much they challenge our preconceptions of form. From the distance they seem to be large boulders, but close up they look like trees. 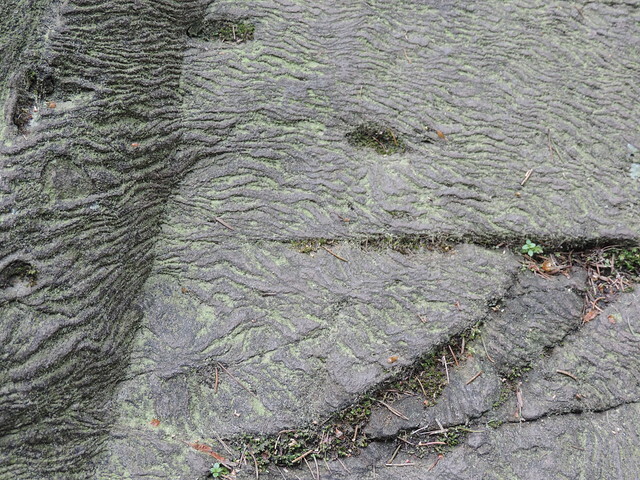 Maybe they are fossil trees? 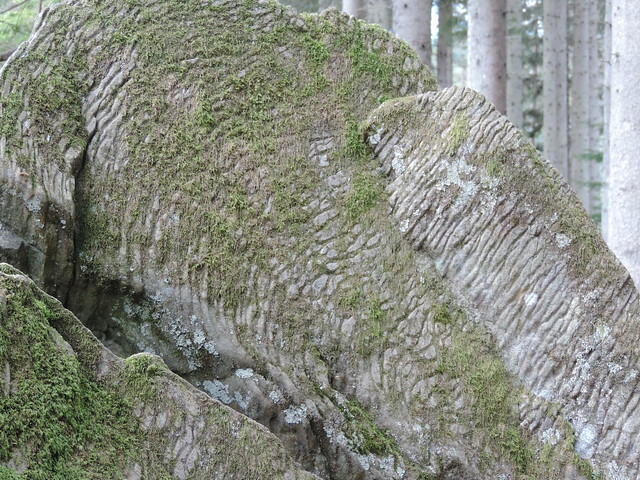 I don’t really know what fossil trees look like, but I’d imagine they look like this. So are they trees becoming rocks? And now I look at that them again in these photos they look like elephants, or some prehistoric dinosaur-like creatures! The other is about boundaries…..where one object stops and another begins, how every “object” exists in its context and how much the environment, the place where the boulder sits, creates its reality, and then that other boundary of time…..how everything changes, how everything is in a constant state of becoming.